Heavy Duty Travel Lift Has Large Loading Capacity High Efficiency! Best Safe Driving Steady Travel Lift For Sale! Heavy duty travel lift is kind of large lifting crane. 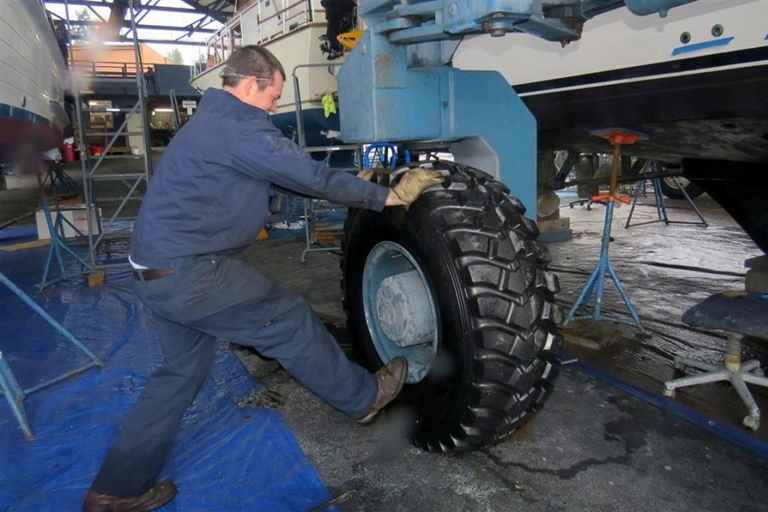 It is widely used for boat lifting, transporting and maintaining work. 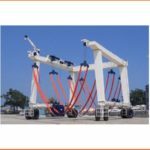 With large loading capacity, it can lift heavy boat easily and safely; with terse structure, heavy duty crane is easy to install and simple to maintain; with compact system, large travel lift is fast to install. Ellsen Group, a reliable boat hoist crane manufacturer in China, supplies cost-effective travel lifts for sale, such as port used small travel lift boat crane, construction travel lift, travel lift for water sport meetings, aquatic clubs and voyages, cheap travel lift for sale, ISO approval marine travel lift, safe driving steady travel lift. 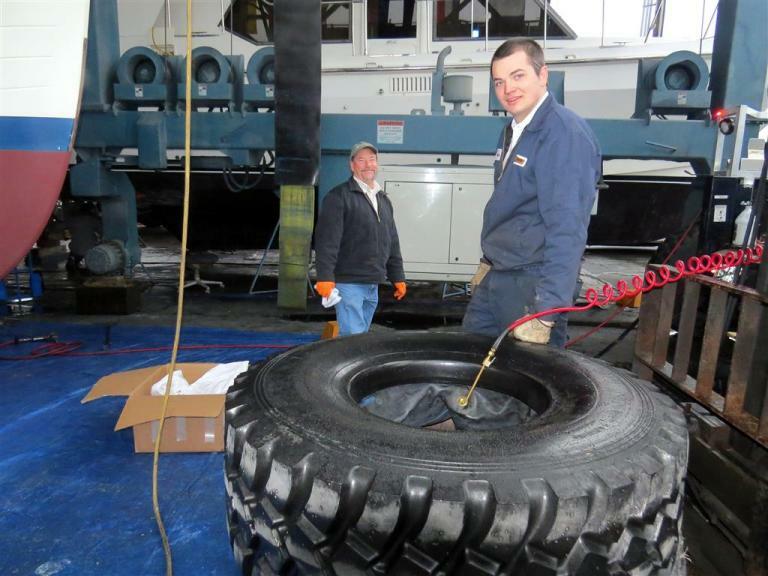 For practical needs and different requirements, Ellsen provides customized service. Perfect service, affordable price, reasonable design and durable material! 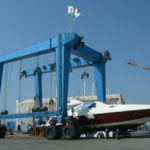 Buy Ellsen marine boat hoist for high efficiency and high safety! 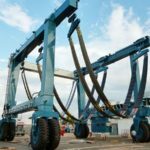 How to ensure safety of heavy duty travel lift? High lift capacity travel lift is very heavy. 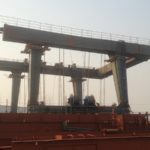 As a large lifting gantry crane, the safety is very important. 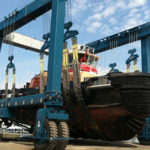 It is related to the service life of boat hoist and personal security of the operator. Many factors influence the safety. First is right operation. This is basic requirement for operator. All operators must get professional training and qualified certification. Operate the crane according to rules and principles. For any abnormal condition, stop operating, have a careful check and take measures to solve the problem. Second, never overload or over-speed. Overload does harm to travel lift. Frequent and long-term overload can make travel hoist deformation. Over-speed is dangerous for crane safety. If travel lift moves too fast, it can’t move stably. Third, safety device is essential for high lift capacity travel lift. 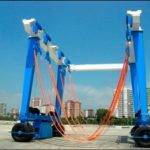 Complete safety protection devices can reduce failure rate, avoid accident, protect the crane from damage and prolong service life of boat hoist. First, marine travel lift parts have reliable quality and long service term. 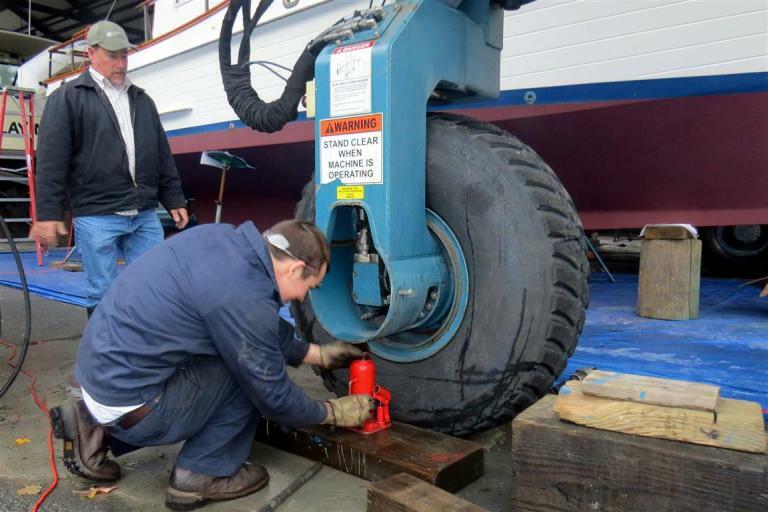 Customers don’t need to repair or replace the boat hoist parts and can save much extra cost. 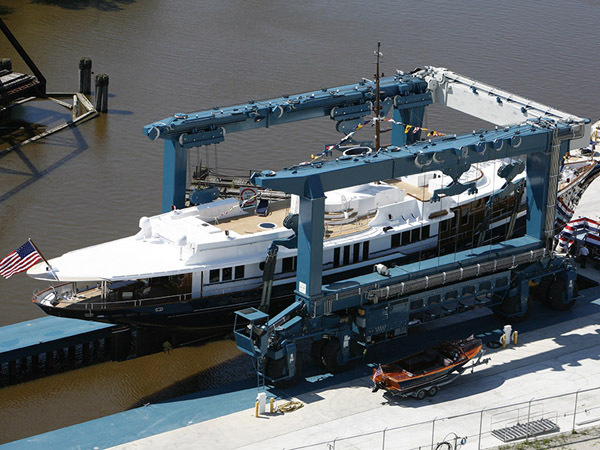 Second, Ellsen has own boat lift factory, and can provide competitive price for each mobile boat lift. Third, before delivery, the whole boat hoist is checked carefully and every part is packaged well. 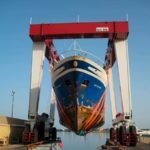 For any questions about marine boat hoist parts, just send email to sales@ellsentravellift.com, and we will reply to you asap. 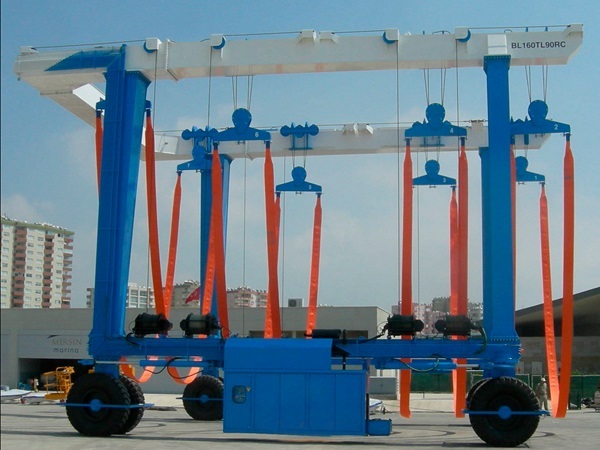 Vessel travel lift is a kind of special boat handling machine,its also called yatch handling machine,mobile boat hoist,marine boat travel lift.Normally,the lifting crane rated lifting capacity from 32t to 1200t.This machine widely used in Shipyard,Ship boat factory,Navy,Yacht,Water entertainment center,etc.Boat lifting crane can be customized design according to our clients’ demands,can quickly and easily meet the different boats of the lifting, maintenance and repair or plant transfer between the work.